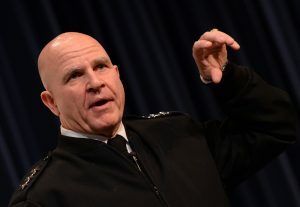 National Security Adviser H.R. McMaster, via Wikipedia. Two top advisers to Donald Trump may soon resign from the White House amid longstanding tensions with the president. National Security Adviser H.R. McCaster and White House Chief of Staff John Kelly have grown increasingly frustrated with Trump and are considering leaving the administration, four senior administration officials told Reuters. But if the past is any indication, the administration officials said the tensions could blow over. The most recent sign of conflict arose over the weekend, when Trump criticized the three-star general for saying the special counsel investigation shows “incontrovertible” evidence that Russia interfered in the 2016 presidential election. McCaster is considering returning to the Pentagon, officials said. A rift between Trump and Kelly grew over the chief of staff’s handling of the resignation of White House staff secretary Rob Porter, who was accused by two-ex wives of domestic violence. Turnover has plagued Trump’s administration since he became president in January 2017. President Trump fired back at his chief of staff, John Kelly, on Thursday morning, saying his top aide misspoke a day earlier when he told a group of lawmakers that some of the president’s tough immigration policies were “uninformed” and would never result in a wall along the entire southern border with Mexico. 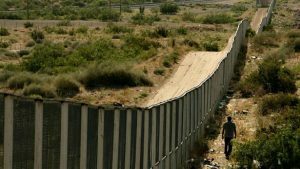 In a meeting with some Democratic lawmakers, Kelly insisted Mexico will never pay for a border wall. 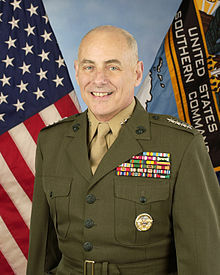 President Trump’s chief of staff, John Kelly . Trump also insisted Mexico would reimburse the U.S. for the costs to build the wall. 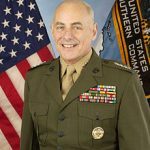 It’s unclear what prompted Kelly to contradict the president’s position on a security wall, but the statements to lawmakers come on the eve of a possible federal government shutdown. The president has indicated he’s willing to compromise with Democrats on granting permanent legal protections for so-called Dreamers in exchange for providing border security funding that would help build a wall on the Mexican border. Without a long-term budget deal by midnight Friday, the federal government faces a possible shutdown. Posted: January 18th, 2018 under News Story. 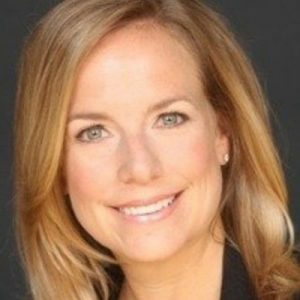 Homeland Security has been without a head of Homeland Security for more than two months after President Trump made John Kelly his chief of staff. The delay of replacing Kelly with a new head of Homeland Security could leave the agency without a leader of the agency for longer than any period in history, the Washington Post reports. 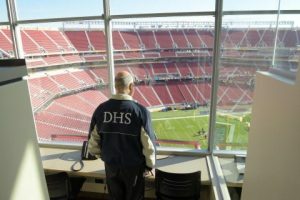 With 240,000 employees, a $40 billion budget and a mile-wide organizational chart, the DHS is managing multiple threats, crises and disasters, both natural and man-made. While leading the recovery efforts after three major hurricanes, the department is also busy policing America’s borders, airports and seas; implementing Trump’s controversial immigration policies; and guarding the country’s electoral system and infrastructure from unprecedented hacking attempts, among other tasks. Acting secretary Elaine Duke has been in the role since July 31, but she does not have a background in emergency management, counterterrorism or law enforcement. Though she has earned mostly praise for her stewardship of the agency during a difficult stretch, she is not considered a candidate for the secretary job, according to several administration officials with knowledge of the search. Posted: October 10th, 2017 under News Story. 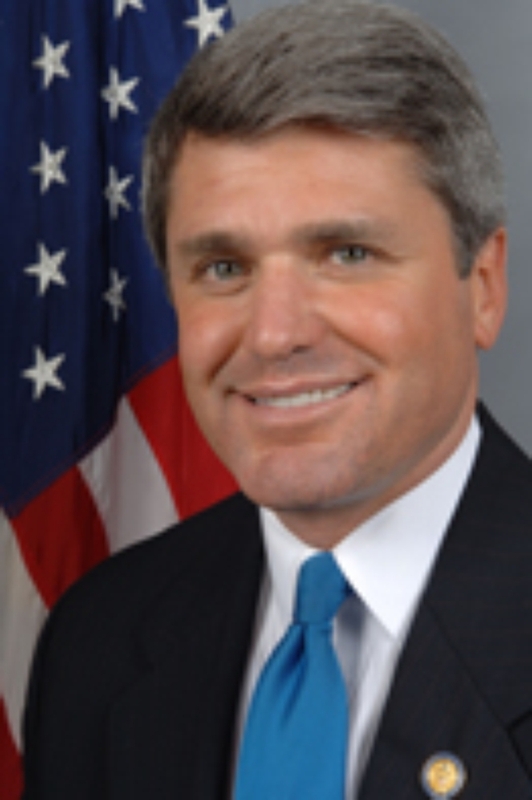 U.S. Rep. Michael McCaul, who was considered by the Trump administration as a contender for Homeland Security director, is now “high on the list” to replace John Kelly, MyStatesman.com reports. McCaul, 55, who is a seven-term Republican from Texas and a former prosecutor, declined to comment when asked about the position. But McCaul has some critics. Some conservatives, including Breitbart, don’t believe McCaul is tough enough on immigration. Nearly a month after President Trump named Homeland Security Director John Kelly as White House chef of staff, no permanent replacement has been selected. That worries former department officials, who said it’s critical to fill the position because of the serious responsibilities of Homeland Security, from immigration enforcement to counterterrorism efforts, the Hill reports. The acting head is Deputy Secretary Elaine Duke. The Senate is on break until after Labor Day and has placed a block not he president’s ability to make recess appointments. “The White House understands that they need to get someone in that position quickly because if a terrorist attack were to occur without a leader at the helm of that department, they are vulnerable to the criticism that they’re asleep at the switch,” said a source close to the White House. What’s unclear is what has delayed the president’s nomination of a new secretary. 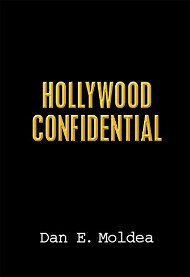 Posted: August 28th, 2017 under News Story. The Trump administration is considering replacing John Kelly at Homeland Security with Energy Secretary Rick Perry. Three people family with the deliberations told Bloomberg that Perry is among an unknown number of potential candidates for the position, which was abandoned by Kelly when he became the White House chief of staff Monday. What unclear is whether Perry wants the job. 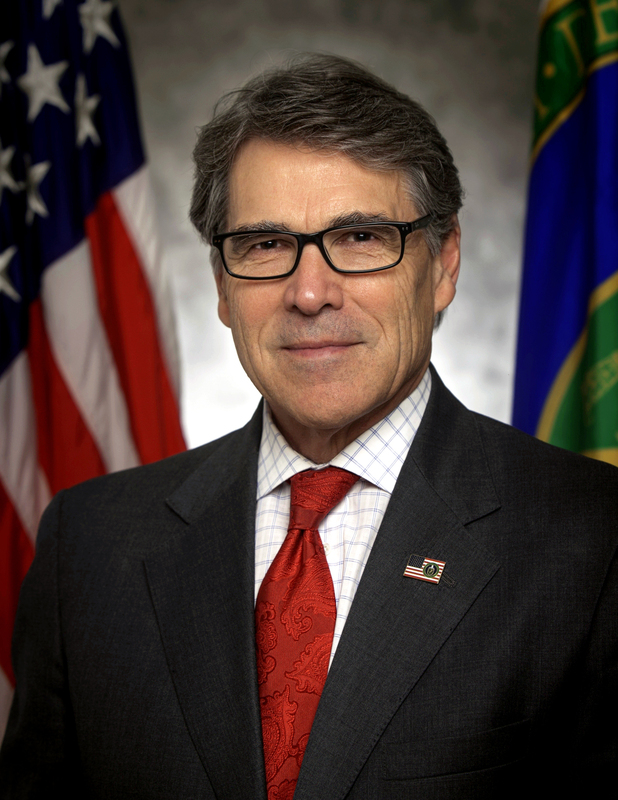 “Secretary Perry is focused on the important mission of the Department of Energy. He’s honored to be mentioned, but he loves what he’s doing,” said Robert Haus, director of public affairs at the department. Some of Trump’s administration favor Rep. Michael McCaul, a Texas Republican, for the job. Perry, 67, has a lot of experience with border issues during his nearly 15 years as governor of Texas, but questions have been raised about whether he and the president agree on immigration policies.